This is a centre of the table dish, we ate it with smoked mackerel and baked sweet potatoes. In Eastern Mediterranean cuisine it would be part of a mezze, something I will develop on as the blog evolves. I have served this dish as a starter for which it also works well. The beetroots take quite a long time to roast off so do them when you have the oven on for a chicken or something similar as the oven needs to be quite hot. They will keep for a day or so, so you don’t have to use them straight away, just make sure they are at least room temperature when you serve them and not fridge cold. 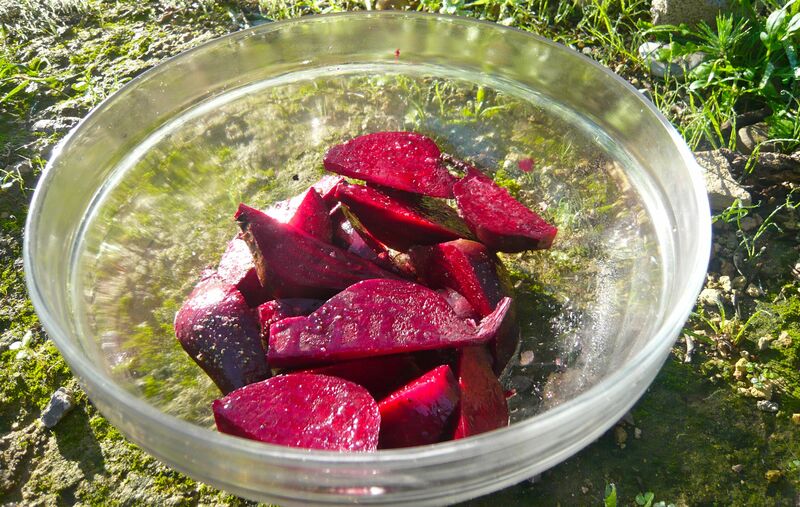 Wash and scrub the beetroots and trim up with a small knife. Cut into wedges and put in a bowl. Toss them with olive oil and season with salt and pepper. Put them onto a paper lined baking tray and roast at 200 degrees for about an hour. Give them a good shake after 30 mins then after an hour take out of the oven. Put them back in the bowl and toss them in the balsamic vinegar. Leave them to cool down. When you are ready to serve take a plater and cover the surface with the salad. Dress with olive oil and lemon juice. 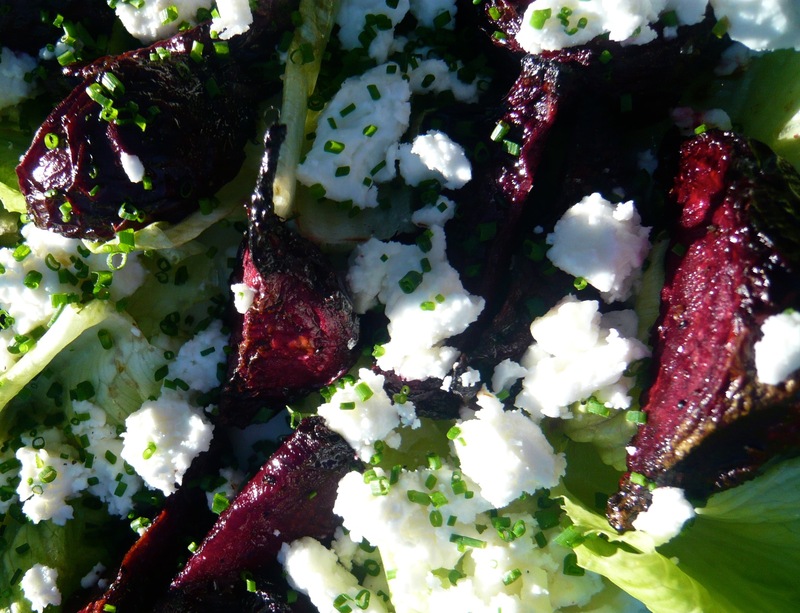 Scatter the beetroots evenly over the salad. Crumble the feta over that, then dip a teaspoon into the honey and swirl the spoon over the plate, you don’t want to put too much on. Finish off with the chopped herbs.